A few short weeks after we first met six years ago, we found ourselves sitting hand-in-hand beside one another, watching The Fox & The Hound. As our own adventure progressed, we fell in love with the art of storytelling, not to mention the stories themselves. Tales of love, of taking risks, of growing together, and even a Disney film about the unlikely friendship of a fox and a hound. Inspired by these tales and fables, we have found a passion in telling stories of love and companionship through our photographs. The spirit of Foxtail lies within preserving and telling the stories of the most cherished moments in life. As husband and wife, we have experienced these fleeting moments for ourselves, and understand that they are worth documenting. In "The Meaning of Marriage," Timothy Keller writes, "Wedding vows are not a declaration of present love, but a mutually binding promise of future love." Just as we believe that marriage is not only of the present, but also of the future; we believe the purpose of a photograph is to live on through generations. We strive to tell the tale of marriage in a frame of timeless authenticity. The coastal town of Wilmington, NC is where we first met and fell in love six years ago. Whenever we visit the coast we cannot help but to feel at home as if we are returning to whence we came. The clinking of glasses and the chatter of familiar voices is a setting we always enjoy. An even greater joy is the privilege of opening up our home and serving the ones whom we love. 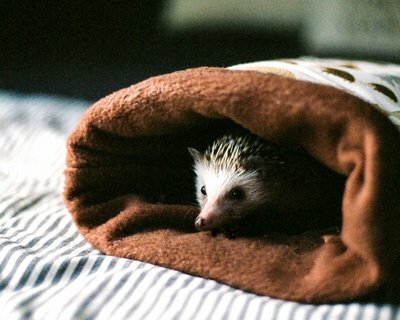 The smallest, and cutest member of the Cissel family is our hedgehog Meeko. Despite his prickly appearance, his personality is quite the opposite. He's spunky, mischievous, and quite literally a handful. We could have brunch three times a day. We've been going on brunch dates as long as we've known each other, and we even served it on our wedding day. Move aside lunch, this is the time for breakfast food. In these busy seasons of life, we've learned to cherish the quiet moments. Whether it be sitting on the porch with a fresh cup of coffee, curled up reading Harry Potter, or putting on our favorite Ed Sheeran records, each one brings rest and rejuvenation.